President Donald Trump tweeted Thursday morning that the FBI and Department of Justice would review the decision by Illinois prosecutors to drop all charges facing actor Jussie Smollett for allegedly fabricating a hate crime. Trump called the prosecutors' decision "an embarrassment to our Nation!" The Cook County State's Attorney's Office stunned many on Tuesday by suddenly dropping all of the charges facing Smollett for allegedly filing a false police report after claiming in late January to have been beaten up and subjected to homophobic and racist slurs by two masked men in Chicago. Smollett was indicted on 16 felony counts for filing that report. 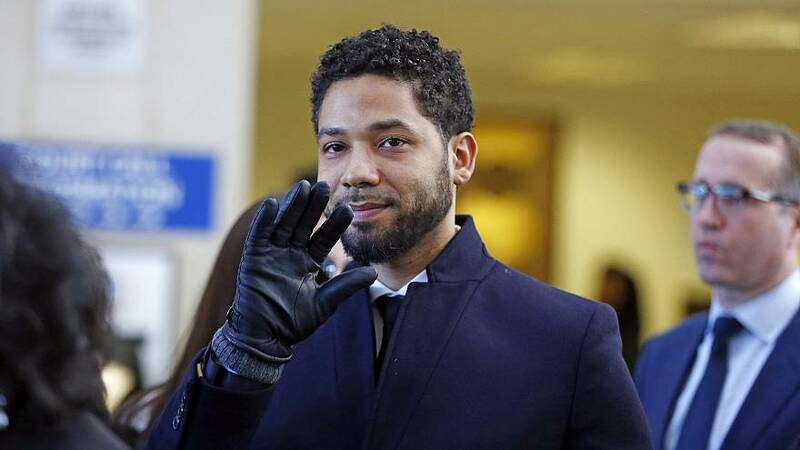 Police had said that Smollett, a star on the Fox TV show "Empire," orchestrated the alleged hate crime in January because he was unhappy with his salary on the program. Chicago police said they were blindsided by charges being dropped.